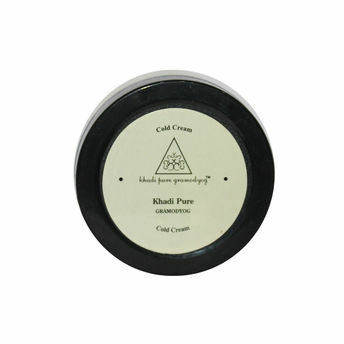 Khadi Pure Gramodyog Herbal Cold Cream is a routine winter day cream. Prevents ageing and dehydration of skin. Made from natural moisturizers, it has high concentration of natural moisturizers that protect your skin against dryness, keeping it satin soft and smooth.